DESCRIPTION While most things are better outdoors, this is especially true with wine. 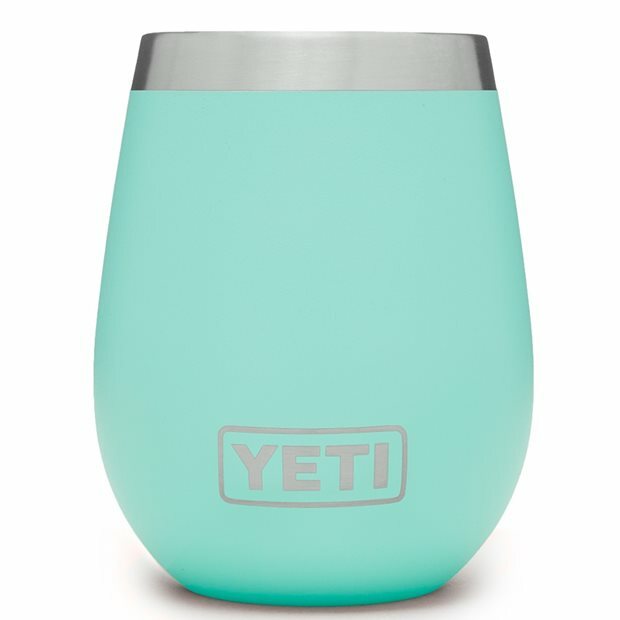 So sit back and relax with YETI’s Rambler 10 Oz. Wine Tumbler. It offers Doublewall Vacuum Insulation to keep cold drinks cold. Reds won’t stain, whites won’t sweat, and your hands won’t affect the wine’s temperature. The wine tumbler is available in stainless steel and DuraCoat colors. It is shatterproof, dishwasher safe and resistant to dents and dings.